The 29th annual World Cheese Awards are now open for entry with organisers, the Guild of Fine Food, expecting more cheese-makers than ever to enter as the competition heads to San Sebastián this year, during the city’s tenure as European Capital of Culture. 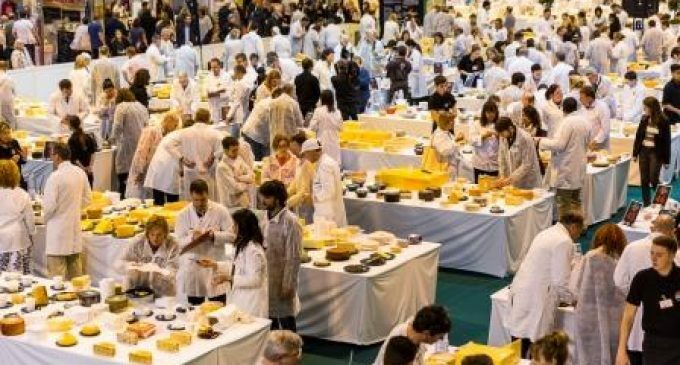 Dedicated only to cheese, with no other dairy products able to enter, the World Cheese Awards, supported by Artzai Gazta and the Basque Country Government, will be the showpiece event at the inaugural International Cheese Festival. Being held between 16-18 November 2016, this global celebration of cheese will be open to consumers and tourists, as well as food professionals, buyers, and retailers. The World Cheese Awards is open for entry from Wednesday 17 August until Tuesday 11 October, unless the entry cap is reached before this date – early entry is recommended.Producers can enter online at www.gff.co.uk/wca.